Derrick's Mobile Auto Detailing ensures that every vehicle we detail looks spotless and showroom ready. Schedule your appointment for mobile car washing in Pflugerville, TX, to experience our convenient and thorough service. Our professional car washers come to your home or business, so you don’t have to go out of your way to have a flawlessly clean vehicle. We use high-quality cleaners and equipment to make your car shine like new. As our customer, you can count on excellent service at a highly competitive price. We are known for our attention to detail and diligent work. Our goal is to keep your car looking its absolute best. With our car detailing services, you never have to worry about making time to drive through the car wash. With us, you save time and money while keeping your car professionally clean. If you have any special requests or places on your car that need extra attention, just let us know. We do everything we can to accommodate each customer and provide personalized service. 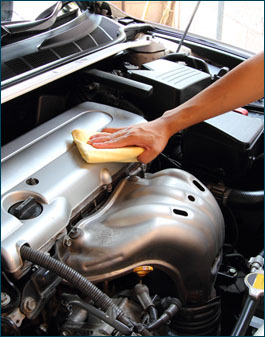 If you want your car detailed on a monthly basis, we offer affordable car maintenance plans. Keep in mind that sub-charges still apply for larger vehicles. For more on our car washing and waxing packages, call us today. Our team looks forward to the opportunity to serve you and get your vehicle into top shape. Our mobile car washing company has six levels of service, so you can choose the one that’s right for your car. Whenever we wash your vehicle, we are intent on seeing that the job gets done right. Your complete satisfaction is always our main priority. Let us show you the difference that our dedication to excellence makes. Contact us to request service. We proudly serve customers in Pflugerville, the Greater Austin area, and in the Counties of Williamson, Travis, and Bastrop, Texas.